The location is amazing! 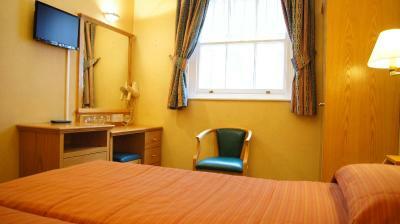 Right next to Paddington station and Hyde park, 1h stroll from Buckingham palace, London eye and Big Ben. 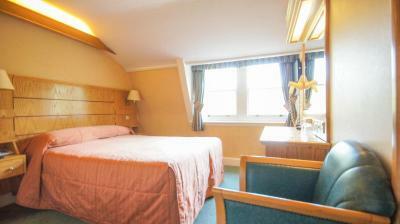 Nice clean room, comfy bed, nice and warm, perfect staff!! If you only need a place to stay for a couple of days, this property will do fine. Location is very convenient. Rooms are okay. Staff is extremely friendly. Breakfast is okay but could be a bit more divers. Staff was simply the best. I wish they gave us kettles and slippers. How ever they gave drinking hot water whenever we needed. Again staff is really the best. 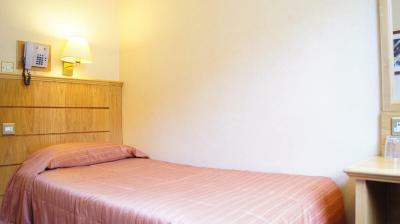 Location was excellent-only 20 mins walk to Oxford Street. 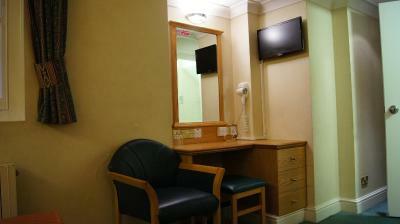 Room we had on ground floor very quiet-no street noise for centre of London. Receptionist very helpful and friendly. Reciption staff was good. Breakfast staff and breakfast was really good. Reception area and breakfast area was very clean. The hotel is just average for the price. It covers all basic amenities. No kettle, tea/coffee in the room. The bath kit does not include all essentials (No hair conditioner, moisturizer etc so carry them with you if you are staying here.). The breakfast was good. 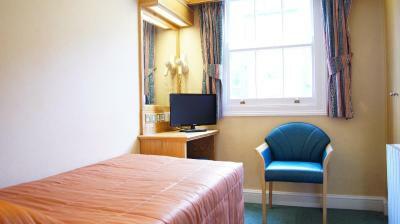 The location is close to Paddington station making the hotel convenient to access the public transportation. Breakfast is simple but sufficient. Close enough to get by foot to see some of the attractions we wanted!! We were not given the wifi password at check-in.When we looked in the info in the room, it stated that there was a charge for wifi. We wrongly assumed the info was accurate. We used the wifi at a local restaurant instead. It was very in convenient. Please update your in room info. 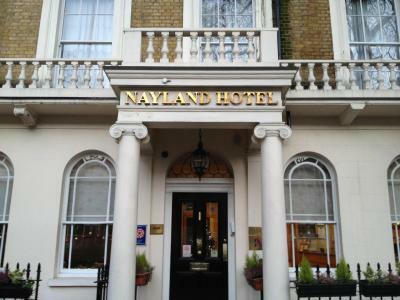 The Nayland Hotel This rating is a reflection of how the property compares to the industry standard when it comes to price, facilities and services available. It's based on a self-evaluation by the property. Use this rating to help choose your stay! 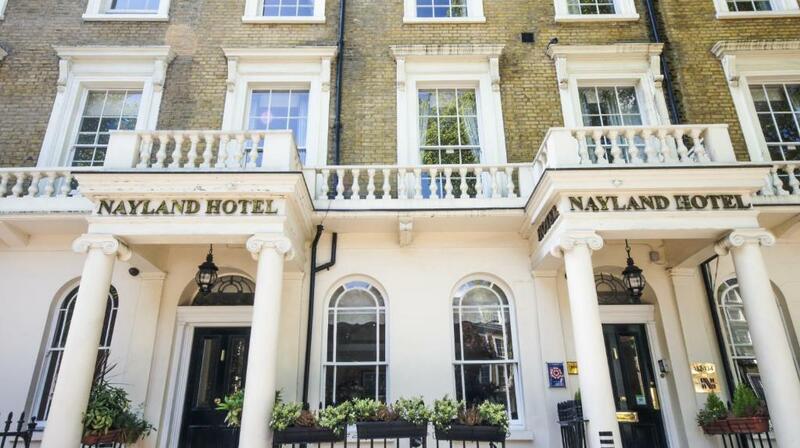 A 10-minute walk from Hyde Park, The Nayland hotel features a bar and rooms with private bathrooms in the heart of central London. 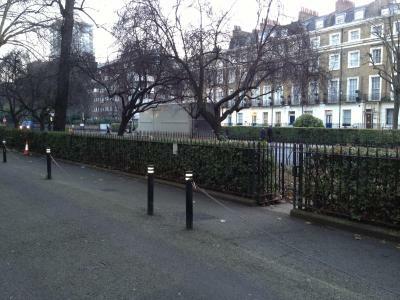 Paddington's rail and subway stations are within a 5-minute walk of the property. 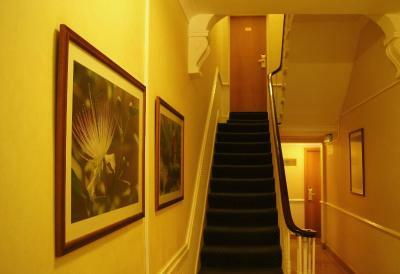 Accommodations are 3-star, and each room has satellite TV, a safe and a radio. There is limited free parking on site (reservation is needed). The Heathrow Express rail service at Paddington is within easy reach, with transportation to Heathrow Airport in just 20 minutes. London’s West End, and a range of theaters and shops can be reached in around a 10-minute walk. Whiteleys shopping center can be reached in 20 minutes by foot. When would you like to stay at The Nayland Hotel? 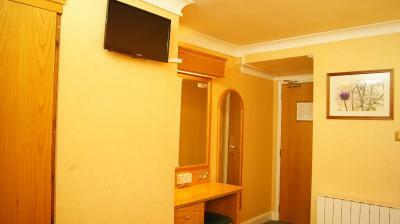 A private bathroom and satellite TV are featured in these rooms. 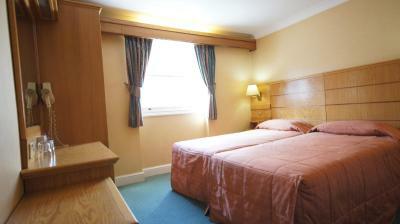 Very nice located in the heart of London. 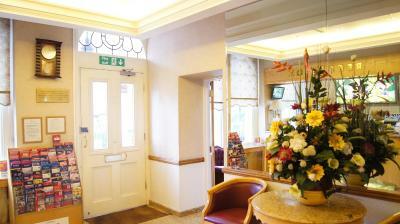 House Rules The Nayland Hotel takes special requests – add in the next step! 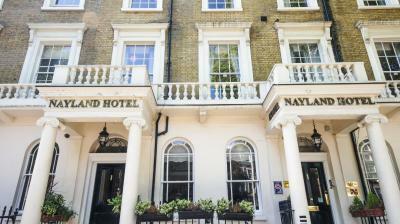 The Nayland Hotel accepts these cards and reserves the right to temporarily hold an amount prior to arrival. Card holder must be present at the hotel to make the payment. This is a safety and security measure. 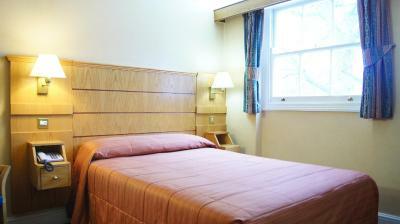 Everything is good except for bed size, but its ok as we are not coming to london to sleep :) Value for money and perfect location. The staff was very unfriendly. Rooms are very, very small. The heating was so poor, it was freezing in the room. Location is only good thing. The breakfast was okay but not of interest to me as it was mainly bread, egg with cheese and ham. I was expecting more fruit, porridge and juice. No heat in room when I first checked in. Asked at the front desk and was informed that the heat would be turned on at 6:00 in the evening, which it did. However, it was turned off later in that night. Could have used another blanket. Good breakfast buffet. Comfortable bed. Hair dryer damaged and unsafe sucked hair into the dryer resulting in having to cut the hair free . Very dangerous spoilt the overall stay. The bathroom was dirty (I could see toothpaste on the sink, the floor wasn't clean), very small shower it was difcult not to touch the dirty walls during taking shower. Poor breakfast. Great localisation, helpful staff- they anwsered all my questions about London, good value for money, close to metro. Bathroom needs new taps and shower head and the whole bathroom needs a good clean. 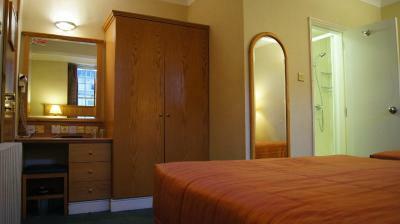 The room was not big enough as the bathroom door could not fully open because of the beds. More power sockets needed. A kettle and tea and coffee would of been nice in the room. The Wifi was non-existent. The Wifi signal throughout the hotel was good however the in-coming internet connection into the hotel ranged from non-existent to very weak and slow. This is a real problem for business people staying at the hotel. 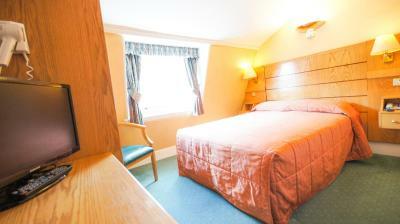 Staff were very friendly, the hotel was clean and comfortable and good value for money. Breakfast was very basic. Room was not clean (floor as well as bed blankets - stains all over). In early morning hours and late evenings, there was very strong noise coming from some sort of pump it was inposible to sleep in the evenings and in the mornings. Location is great. 3 minutes from underground and bus stations.